My fiction Broken Heart (horror) now available in tamil language (AMANUSHAN). 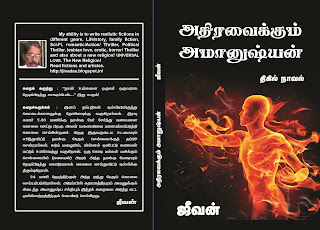 published by Manimekalai publication ,Chennai-17. 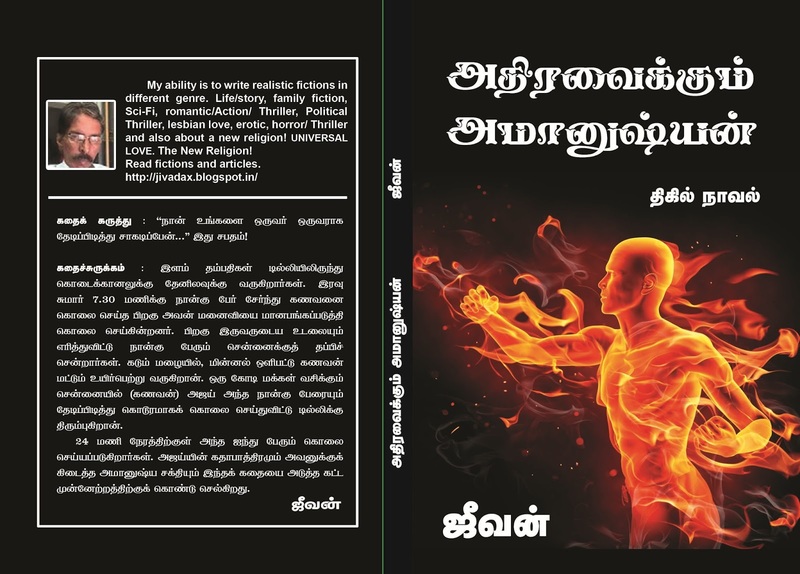 122 page book cost Rs 60/-only.Eternal Love sci-fiction also available in tamil language (Idhayam Marappathillai) . 140 page book cost Rs 70/- only.Both my fictions ‘Eternal Love and Broken Heart' are copyright registered and published books now available for movie production. Visualization is very important part of every creative person. As a director you should be able to see text as visual medium. Being a story concept writer I only wrote main story but when I get a chance to work for movie version of my fiction as creative director or visualizer I will do my best. For the sake of ‘continuity’ when adopting fiction for movie version writer will end up developing small subplots or scenes. Writing senseless dialog is difficult for me which you will find it in most of the Indian movies. Here is the starting paragraph from my fiction ‘Broken Heart’. This is how I wish to present first paragraph. Here I am not writing about lighting condition, camera angle or composition. Our happy family consists of my dad, mom and I. We had our own house in vadapalani ­Chennai. My dad was working for a north Indian company in Chennai. He was very strict when it comes to studies and disciplines. After completing my studies as a software engineer I was looking for a job in Chennai. Even though I got a job offer from Bombay and Delhi my parents wants me to work here in Chennai. They do not want me to work in a faraway place. We all are capable of presenting this simple paragraph using our own idea. I am yet to learn screenplay writing. This is how I wish to present the scene with opening shot. Copter cam positioned high above the temple. Graduated orange colored filter for camera or we I will 'paint' sky later with golden hue. View point Marina beach. Scene. Time laps photography is used for gradual early morning sun rise. Couples of digital birds are flying parallel to the horizon. In the back ground one can hear early morning devotional song. Gradually copter cam comes down in front of the temple. In big bold letters CHENNAI appear and gradually fades away. 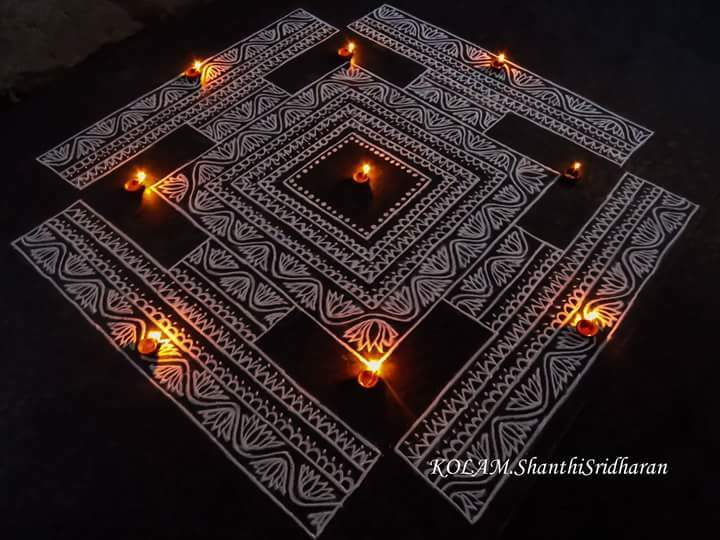 At about four feet from ground copter cam take forty five degree turn .in front of a house my mother giving finishing touches to Kolam .she gets up and looks at her creation and satisfied with her work. She turns around and came to sitting room. Whistling sound can be heard from the milk cooker. She goes to kitchen to make coffee. After hearing whistling sound of milk cooker my dad open his eyes. He gets out of the bed and comes to visiting room in pajama. He takes news paper and start reading it. Mother after pouring coffee in two cups takes it to the visiting room and handed over one cup to my dad and sat next to him. They both drink coffee. Maa…. “What is today’s special news”? Dad “our C.M is going to inaugurate metro train service” After finishing coffee my mother collect empty coffee cup and was about to leave for kitchen. Dad “O”, I forgot, carry on….”Maa goes to kitchen with empty cups. I slowly opened his eyes and looks at the table clock. 7.32 am. I got out of the bed and come to visiting room in pajama. Dad “Good morning Ajay, Sit. What is your today’s program”? I “MAA….COFFEE”…... “Dad today at 10.30 I have to attend an interview at C.S. it is at sholinganallur”. Maa pour one cup of coffee from flask and brought for me. I” Maa…every time you say this I get job only in faraway places “. Maa “For you everything is a joke”. She goes back to kitchen. Dad “Best of luck Ajay” He handed over newspaper to me. “I will get dressed up for office…” he goes to his room to freshen up. After going through newspaper I left for my room to get ready for interview. At 8.30 A.M. Maa started arranging breakfast on dining table. I and dad come out of our room and we all had breakfast. Maa handed over suitcase and lunch box to dad .I take my dad on my bike to his office at mount road. After dropping him I went straight to C.S office at sholinganallur for interview. After attending interview he was offered job. I “Thank you for your offer; I am looking for a job in Chennai”. Interviewer “At present we do not have job opportunity in our Chennai office. You can join for job at Mumbai .As and when there is vacancy in our Chennai branch you can take up job here”. I “Fine sir, plz let me know when there is vacancy in Chennai office so that I can join here”. I came out of the office and went to cafeteria and had lunch. After lunch I went straight to Sathyam Theater to watch TERMINATOR GENESIS. After movie I went to Elliot beach to meet three of my friends. Rajeev, Rahul and Sanjeev were already waiting for me at the usual place. I “Tough one, But I scored maximum marks. They gave me one project. I had to finish it in three hours time but I managed to finish it in two hours, forty minutes and fifty five seconds. The interviewer was very much impressed with my performance. Later he told me that same project will take more than three hours to complete. Sanjay “O.K, let’s celebrate!” today you are going give treat for us”. I “They offered me job at their Mumbai head office. At present they do not have job vacancy here in Chennai. May be in future as and when there is vacancies in Chennai they can get me transfer to Chennai”. Rajeev “In my opinion you should have joined for job at Mumbai head office. Mumbai is a nice place to live-in”. 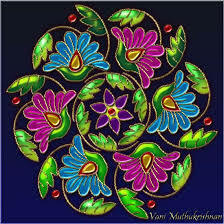 I “you all know that my parents will not allow me to work in faraway places .they want me to get a job here in Chennai. I told interviewer to inform me as and when there is a vacancy here in Chennai office. That was the end of interview”. Sanjay” Do not worry Ajay, for your qualification you will get a better job here in Chennai”. Rahul “today it is my turn... tell me your choice of snacks I will order it “. I “let’s have Pepperoni pizza”. He dialed papa john and ordered four pepperoni pizzas and two litter of coke. In about fifteen minutes time pizza boy delivered coke and pizza for all. Rahul paid for that. Pepperoni pizza was really good. After spending some more time at the beach we all left for home around 8PM. I got home around 8.30 p.m. my parents were watching T.V program. Maa “Ajay, have you got job”? Maa “when you have to join for work”? I “Any time at I can join for work at their Mumbai Head office”. Dad “Ajay, Don’t worry, there is always another chance”. Maa “you take bath and come for dinner”. At around 9 p.m they all had dinner. After dinner his parents watched T.V program till 10pm Later they went to bed. Ajay after watching TV program till 11 am went to sleep. Hope I managed to write appropriate dialog. There is scope for improving dialog. Do you need screenplay or shooting script to shoot above scenes? I do not need screenplay, shooting script or storyboard to shoot these simple scenes. Just little bit of planning scenes alone will do. Developing subplots are part of creative director’s work. A director should be capable of visualizing scene by scene. Visualizer should assist director and graphic artists using sketches or table top model. He should also be capable of designing poster, running titles and set designing. Author of ‘Eternal love and Broken Heart”. 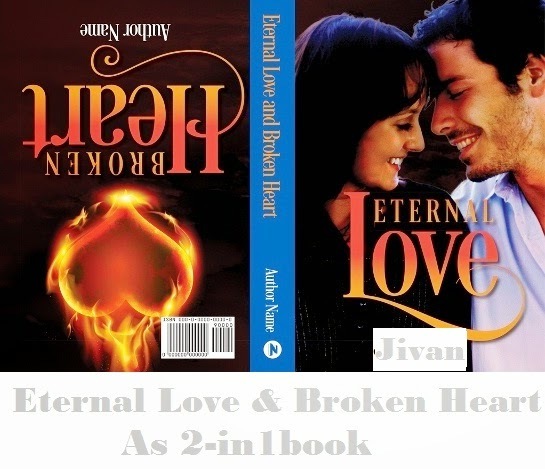 Read few chapters of Eternal love and broken heart here on my blog. SAMPLE SHOT OF KOLAM /RANGOLI.